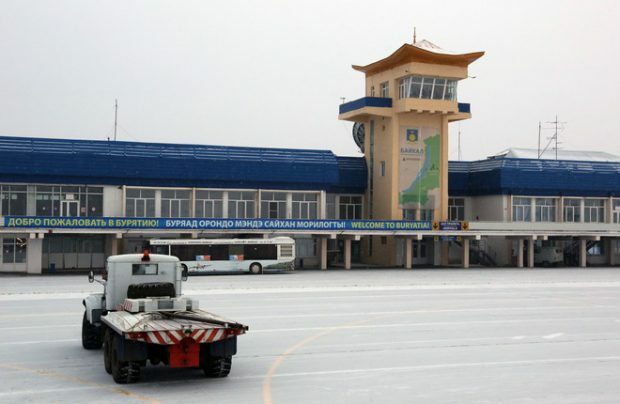 The process of construction on the second runway has begun at Baikal airport, in Ulan-Ude, the capital of Russia’s Republic of Buryatia in eastern Siberia. The runway is to be commissioned in 2017 and become operational in 2018, reports the republic’s ministry for transportation, energy and road system development. The new runway’s dimensions will measure 3,400 meters long and 45 meters wide. After putting the runway into operation, Baikal airport will be able to receive such aircraft as single-aisle Airbus А321 (89.4 tonnes) and Boeing 737-900ER (85.4 tonnes), as well as wide-body Boeing 767-300 (159.7 tonnes). The construction of the second runway is expected to attract new carriers to the airport and lead to lower ticket prices. The total reconstruction cost is 4 billion rubles ($64 million). “An application has been filed at the Federal Air Transportation Agency to get the rest of the money that will be allocated in 2017,” said the ministry representative. Spetsstroy company was named the general contractor, the project was approved by the Russian State Expert Evaluation Department in May this year. The new runway’s construction is conducted without any limitations for the airport’s operations. The reconstruction project will include among other things the addition of taxiways, drainage and sewage treatment facilities. The runway construction was initially planned to begin in 2015. The airport’s existing air strip was reconstructed in 2006–2007. Vyacheslav Nagovitsin, head of the government of Buryatia told TASS news agency that the runway construction will be a successful precondition to implement the Chinese investors’ project of creating a transportation and logistics complex next to the airport. In January-July 2016, Ulan-Ude airport served 103.5 thousands passengers, 12.8 per cent fewer than a year ago.